Professor Mark Rabil, director of Wake Forest School of Law’s Innocence and Justice Clinic, is featured in a new movie, “In Pursuit of Justice,” which is playing as part of Winston-Salem’s anual RiverRun Film Festival and will be shown at 5 p.m. on Friday, April 20, at SECCA and 4 p.m. on Friday, April 28, at Hanesbrand Theatre. In the film, Gregg Jamback tells the story of Greg Taylor, a Raleigh man who wrongfully spent 17 years in prison for murder before he was exonerated in 2010. According to a story originally published in The Winston-Salem Journal, Taylor’s life changed in September 1991 when the body of Jacquetta Thomas was found 100 yards from his SUV. Police immediately made him a suspect. Taylor was found guilty of the murder and was convicted in 1993. Jamback, a local Winston-Salem filmmaker, documents Taylor’s story by taking the audience through the 17-year journey from Taylor’s arrest to his conviction, and finally to his exoneration in 2010. Taylor was the first person exonerated through the N.C. Innocence Inquiry Commission. The commission was formed soon after a raft of wrongful convictions, including that of Winston-Salem’s Darryl Hunt. The film is anchored by interviews with Taylor, his family and others, including Rabil, Hunt’s longtime attorney; former News & Observer reporter Mandy Locke; and Chris Mumma, director of the N.C. Center on Actual Innocence. 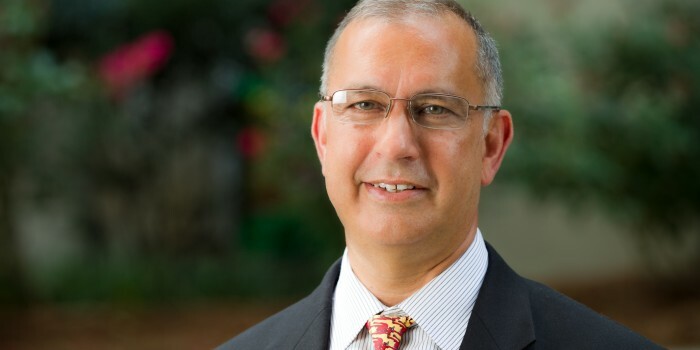 Professor Rabil actively represents wrongfully convicted inmates, and his zealous advocacy led to the release and exoneration of Hunt after 19 years of incarceration. In the film, Professor Rabil talks about the costs of wrongful convictions to society, according the the film’s featured characters page. The film’s power derives from the long interviews with Taylor, where his face is shows the joy that comes when pleas for freedom are finally answered, as well as the tears and wrinkles that have formed from the weight of 17 years lost in prison.